In statement, global investor coalition acknowledges progress made by over 100 brands in concert with trade unions and NGOs to transform worker safety in garment sector through the Accord on Fire and Building Safety. NEW YORK, NY – MONDAY APRIL 24TH, 2017 – A coalition of global investors representing over U.S. $4.3 trillion is using the April 24th anniversary of the Rana Plaza tragedy to issue a statement highlighting the success of the Bangladesh Accord on Fire and Building Safety which they believe symbolizes what can be accomplished when brands use their collective leverage to resolve supply chain concerns. In the aftermath of the collapse of Rana Plaza there was an unprecedented response on behalf of global apparel brands that recognized their responsibility to participate in the upgrading of factories in their supply chains to address worker safety. The resulting Accord on Fire and Building Safety (Accord) signed by trade unions, brands and retailers created a five year, legally binding framework for factory inspections to identify and remediate fire, electrical and structural issues. With one year left in its mandate, the investors believe more needs to be accomplished, but significant progress has been made, proving the effectiveness of the Accord model and fundamentally changing how apparel brands and retailers view their relationship to, and responsibility for, workers in their extended supply chains. While the success of the Accord highlights the impact of collective brand action, it also exposes weaknesses in both the will and capacity of government to support workers. The last 4 months have seen a troubling government crackdown on dozens of garment workers and labor leaders who are facing criminal cases in Bangladesh after wage strikes in December 2016. 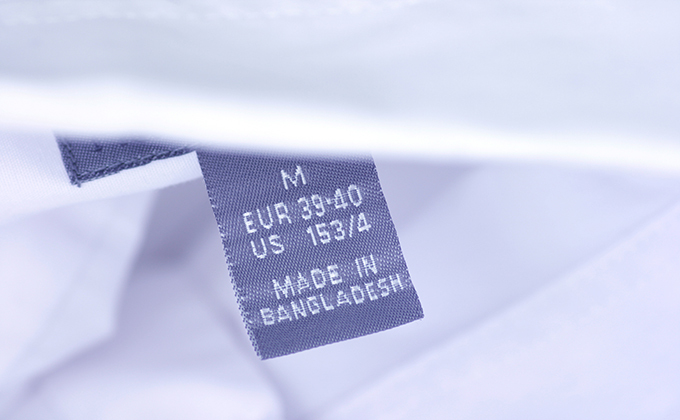 About 20 global brands sourcing from Bangladesh, including C&A, Gap, H&M, Inditex, Next, and Primark, wrote to Prime Minister Sheikh Hasina supporting a wage review and expressing their concerns that union leaders and worker advocates were being targeted. Investors commend these companies for acting collectively and urge the Alliance for Worker Safety, the Accord and individual companies to use their influence with the government to support worker rights and safe workplaces. Further, investors are deeply concerned about developments in Bangladesh’s leather sector where serious labor rights and environmental abuses are negatively impacting thousands of people. The leather sector is at a particularly urgent inflection point. Following a series of Supreme Court orders to stem the longstanding and large-scale environmental degradation, the Bangladesh Department of Environment shut down the country’s primary leather tanning hub in Dhaka’s Hazaribagh district on April 8, 2017. An estimated 30,000 leather workers, including child laborers, now find themselves in limbo as the industry seeks to shift production to a new industrial zone outside the city in Savar.